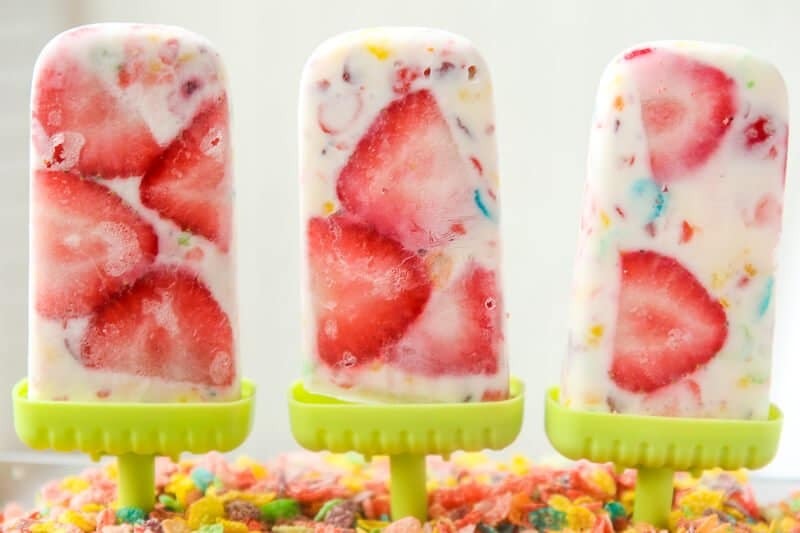 Thanks to Post Pebbles Cereal to inspiring me to create these cereal popsicles. 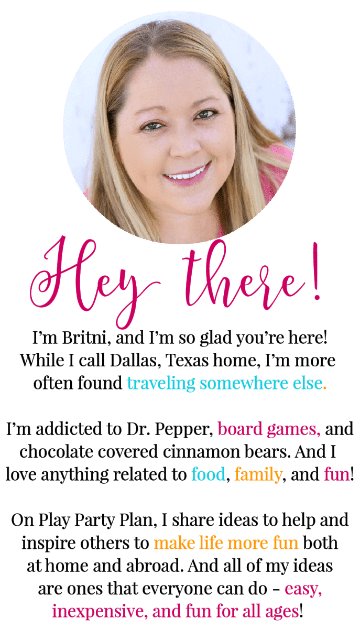 While this post is sponsored, all opinions and content are 100% honest and my own! 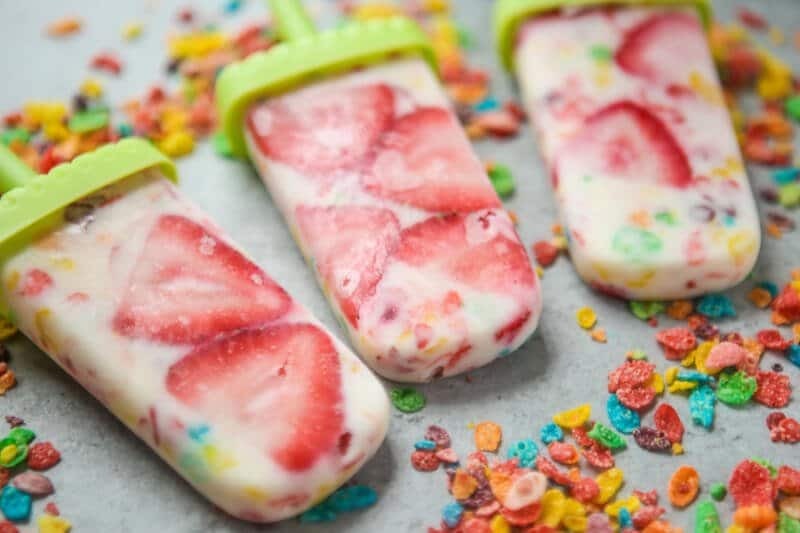 It’s summer and time to head outside to play in the water, eat frozen treats like these Fruity Pebbles Funfetti Cereal Popsicles! These healthy popsicles are the perfect frozen treat that both kids and moms alike will absolutely love! 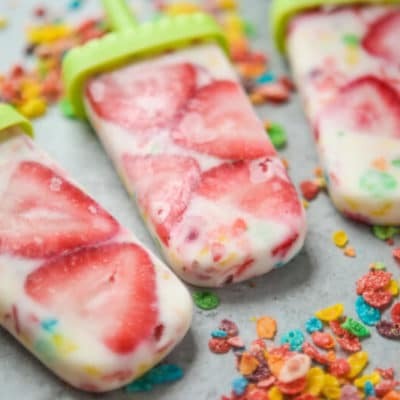 These funfetti popsicles are the combination of your favorite yogurt popsicles, cereal popsicles, and fruity creamsicles. 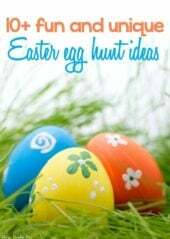 They’re simple enough that kids can help make them and kids and adults can both enjoy a couple of hours later. A fun and delicious treat that is perfect for a kid-friendly breakfast, a fun family brunch, or a hot refreshing treat on a hot day outside. 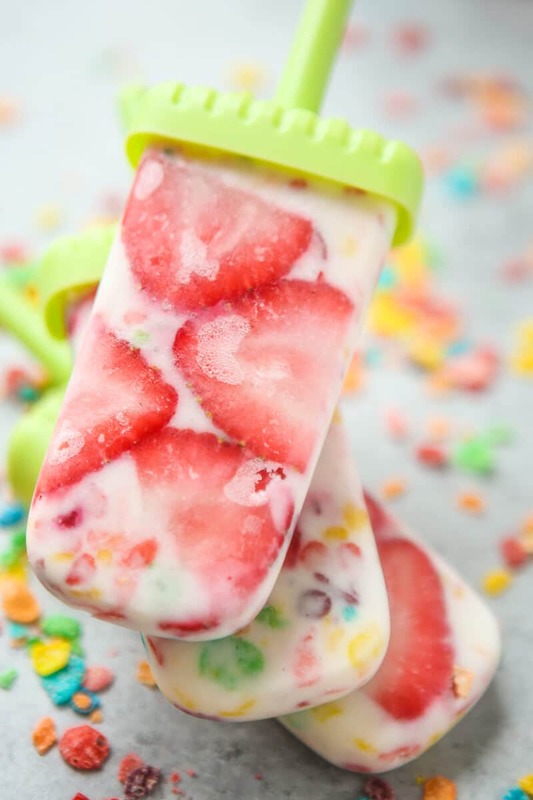 Mix up your favorite yogurt, mix in Fruity Pebbles, add a few sliced strawberries, and you’ll have a healthy frozen treat in just a few hours! One of my favorite memories as a kid is eating Fruity Pebbles for breakfast (or dinner) and watching the milk turn all sorts of colors once I’d eaten all of the cereal. 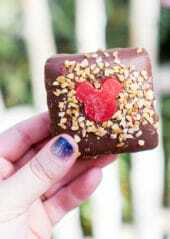 They’re like confetti for your mouth and really do inspire playfulness and creativeness in every bite! I recently introduced my own munchkin to Fruity Pebbles, and he loves them about as much as I do. The only problem is that he won’t drink milk, just won’t touch it. But he loves popsicles. I mean, what kid doesn’t love popsicles? These popsicles are my new favorite summer treat because they’re give my son the popsicles he wants while also giving me the satisfaction of knowing he’s getting and fruit and calcium he needs. It’s about as close as you can get to a healthy homemade popsicle. Take it up a notch and serve them at a fun outside party, at a breakfast, or even a colorful confetti brunch or baby shower. 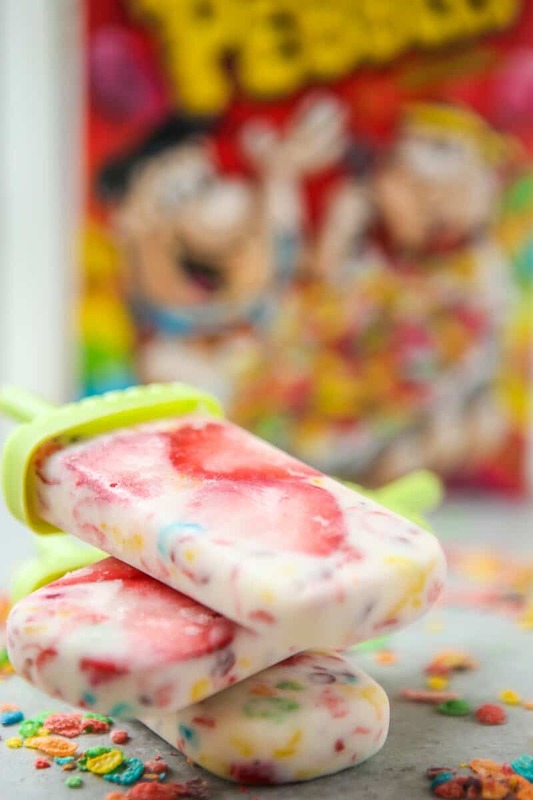 Add simple styling by covering a styrofoam block with Fruity Pebbles and stick your popsicle sticks right into the block. Simple and fun! 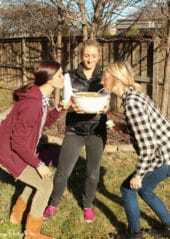 For more creative ways to use Fruity and Cocoa Pebbles, follow along on Facebook, Instagram, and Twitter. 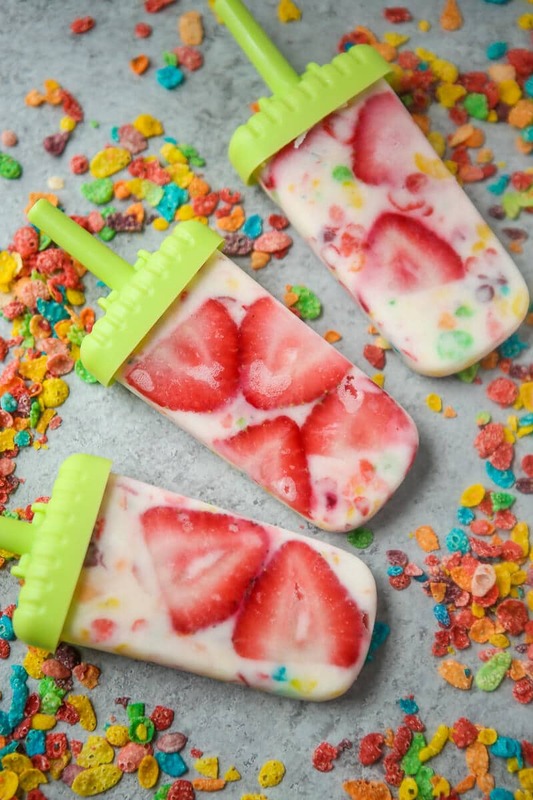 Fun and healthy cereal popsicles that mix yogurt, fresh fruit, and colored Fruity Pebbles! Mix Fruity Pebbles into vanilla yogurt. Line the outside of the popsicle molds with thinly sliced strawberries. 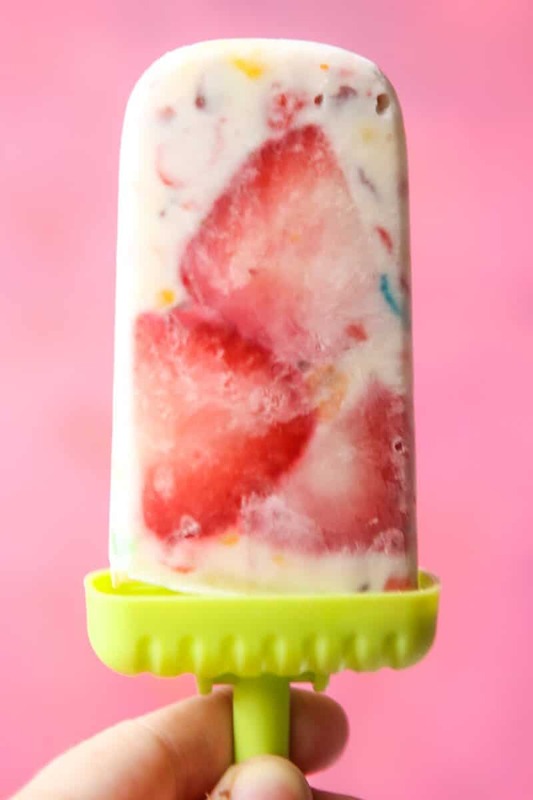 Carefully pour yogurt mixture into the popsicle molds, keeping the strawberries on the outside as much as possible. Tap bottom of popsicle mold on table or hard surface to help the mixture set. Remove from popsicle molds and enjoy immediately.